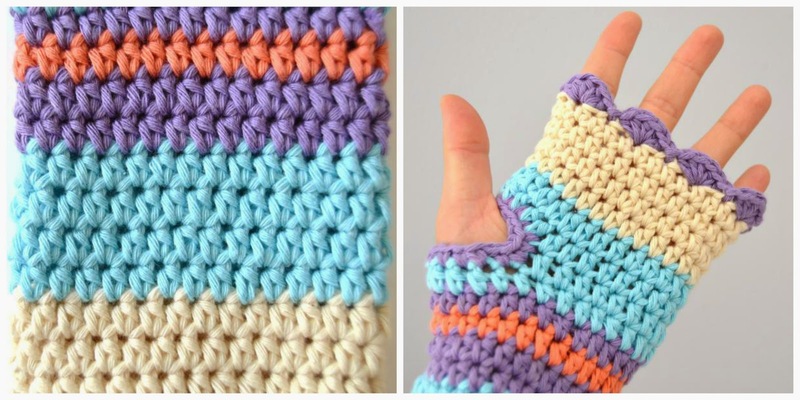 Today I show you the first crochet fingerless mitts that I've done. They are very nice and very useful. I add the pattern. I hope you like too! - at the ends, with sc, with waves... as you like! - en els extrems treballar amb pb, amb ones... com més t'agradi! Jo he utilitzat agulla de ganxet de 4mm i llanes DROPS PARIS. - En los extremos trabajar con pb, con ondas ... como más te guste! Yo he utilizado aguja de ganchillo de 4mm y lanas DROPS PARIS. Do you like my crochet fingerless gloves? These are 100% cotton. for when do more cold. I like to write my tutorials, for the future. When I want to repeat I will have the pattern a project here. by email or leave comment below. Thanks for following me and for your sweet and kind comments. You make me veeeeeeeeery happy! I love them Cristina !!!!! So lovely Cristina! 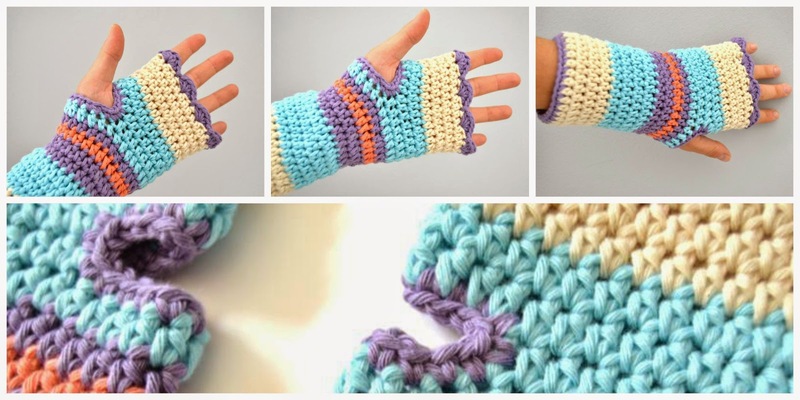 These days I'm arranging my first crochet fingerless gloves pattern too! Have a great week! OOo I like this colour combo, different and fresh! In fact I also really like the baby blanket below. Thanks for the pattern, cheers! So very pretty, Cristina! I love the colours you have used :) Thank you for sharing! I wil follow your blog with bloglovin! Please, can you send on Espanish?